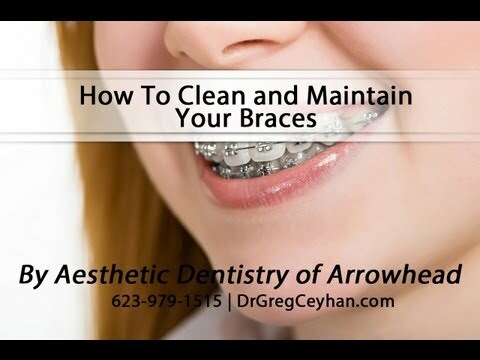 What’s the Best Way to Clean Your Braces? You’ve finally made the decision to get braces and get the beautiful smile you’ve always dreamed of having. Don’t ruin it by failing to take proper care of your teeth while you are undergoing treatment! Just because braces are covering your teeth and making it a pain to brush like you’re used to doesn’t mean you get a pass on your Glendale dental hygiene. Brushing properly is more important than ever. If you have braces in Glendale, food is more likely to get stuck next to your teeth, encouraging the growth of bacteria and increasing the risk of gingivitis and other dental issues. When you have braces, it is more important than ever to brush after every meal and snack. Any time you put food in your mouth, you should follow it up with a tooth brushing. Brush your teeth the same way you would without braces and then be sure to brush between the wire and the teeth and to brush all around the brackets. Rinse your toothbrush with hot water to get rid of any remaining bacteria and food particles. You should always use a soft-bristled toothbrush to care for your teeth so as not to cause any damage to your gums or teeth. When you have braces, you should consider adding an interdental brush to your routine. This is a small brush that can fit through your teeth and between the wires of your braces and your teeth. You cannot use an interdental brush to clean all your teeth. However, it is important to use it to get in those hard-to-reach spots that braces can create. Your teeth are at higher risk when you have braces. Not only are food particles more likely to get trapped and remain against the surface of your teeth, but the enamel is also more likely to get damaged by all the work being done in there. Using a toothpaste with fluoride can help to fortify the enamel and protect your teeth. Your dentist near Glendale may also give you a fluoride treatment you can use at home. Check to see what’s available and how to use it. You may become so concerned with the risk of plaque and trapped food particles that you want to scrub at your teeth or brush for far longer than necessary. Unfortunately, there is too much of a good thing with brushing. Even if you are doing it right, brushing too much can actually hurt your teeth. Brushing too hard and too much can actually wear down the protective enamel on your teeth. You may not notice it, but your dentist will be able to see abrasion on the surface of your teeth. Keep your brushing to two to three minutes and don’t use too much pressure. If the bristles on your toothbrush are starting to bend, you are brushing too hard. You know you need to floss every day, but when you have braces, it’s more important than ever. Food is even more likely to get trapped between your teeth when those wires and brackets are there holding them in. Even if you have Invisalign, the plastic trays can keep the food stuck between your teeth. Make sure you floss every day. If you have wired braces, use a threader to get between the teeth where you can’t just slide the floss in from the bottom. The best time to floss is at the end of the day so that you get all food particles that may have been trapped during the day. Mouthwash helps to dislodge any food that may be trapped in your teeth or behind your wires, and it helps to kill any bacteria that may remain in your mouth. Mouthwash kills bacteria not just on your teeth but also on your mouth, gums, cheeks, and the roof of your mouth. Your dentist can provide an antiseptic mouthwash that is more powerful than what you would buy over the counter. Talk to your dentist about what’s best. Since you’re already straightening your teeth, you may be anxious to give yourself a complete Glendale smile makeover and also whiten your teeth. The problem is that tooth-whitening products can only whiten what they touch. Since most of your teeth are going to be covered in brackets, trying to whiten them at this stage will only result in uneven coloring when your braces are removed. Think of it like tanning with a tank top on – you’re going to get weird lines where you don’t want them. Just wait until your Glendale braces are off to do the whitening. Take care of your teeth properly while you get braces and you’ll have a beautiful and healthy smile when the braces come off. Work closely with your dentist and follow all instructions to the letter. You’ll be glad you did when you look at your beautiful new smile later. At Aesthetic Dentistry of Arrowhead in Arizona, we provide a full range of services to give patients a beautiful new smile. Our cosmetic dentist does everything from routine teeth cleanings to Invisalign treatment. You can get your dental exam, get a professional teeth whitening treatment, or correct your bite. We offer the services to keep your teeth and mouth healthy or to create a straight, white smile that will make you feel beautiful and more confident. 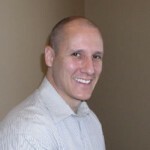 Contact us in Arizona today to schedule a consultation with our cosmetic dentist.